“Before Best Buddies, I was really not aware of just how many people had limited opportunities to make friends and how many didn’t have friends or any kind of social interaction. Best Buddies opened my eyes to that,” said Steve when asked about how his life changed since joining Best Buddies. Steve found out about Best Buddies and the Citizens program through his wife, Missy Naff, Director of Programs for Best Buddies in Tennessee. 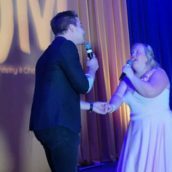 Missy’s passion for Best Buddies was contagious, and before she knew it Steve was looking for ways to get involved with Best Buddies himself. 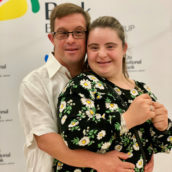 The Best Buddies Citizenship program — a program that matches adults with IDD in one-to-one friendships with adults without IDD from the community — was the perfect program for Steve. It was through the Citizens program that he’d meet his new best friend, Mike. The moment the two met, they knew their friendship was bound to become something extraordinary. 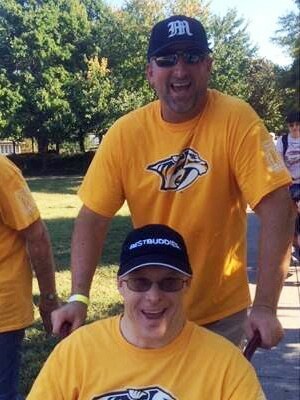 “Bringing Mike into my life has been very special, and Best Buddies as a whole has brought another interest into my life that has real meaning and it’s very rewarding,” said Steve. For Mike, Steve’s friendship is like no other. Their similarities are countless, and the two even share the same birthdays. 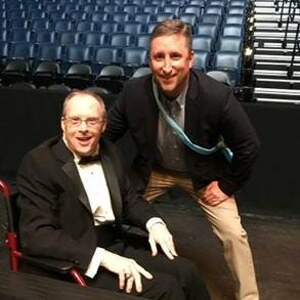 “Best Buddies means a lot to me, and [my friendship] with Steve is really special because we go to the movies, hang out and have lunch,” said Mike, speaking of his friend. When asked about their most memorable moment together, the pair spoke of their love for sports. Steve and Mike have become so close over the past two years that they even celebrated Mike’s 50th birthday – and both their special days – together. According to Steve, Mike just brings out a side of him no one else usually sees. On Sunday, July 17, the New York City Citizens braved the summer heat to attend a "Meet and Greet" picnic at Bryant Park. We brought together our Cooperate Citizens Chapters and the NYC Citizens. With lots of snacks, laughter, and new faces, a good time was had by all 40 who attended! She said YES! The love tale of Andy and Carolina. 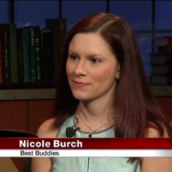 Nicole Burch, Albany's Area Director, went on NewsChannel 13 to talk with Phil Bayly about the impact of Best Buddies.